In this next article in our continuing series we're going to discuss the effects of Anorexia Nervosa on a person, as well as going over some facts and figures. The main assault of this disease is that it focuses on self starvation. Since the body needs food as a basic means for survival, the effects of this disease are numerous to say the least. Because the body is not getting enough nutrition, it is forced to slow down in order to compensate for this. This slowing down can have serious consequences on a person's body. 1. People suffering from this disease, after an extended period of time, suffer from an abnormally slow heart rate and very low blood pressure. This causes the heart muscle itself to change. The chance of heart failure rises as heart rate and blood pressure decrease. 2. Because of the lack of calcium in a person's diet, since they are not getting enough food in general, there is a great risk of reduced bone density, which is known as osteoporosis. This results in very dry and brittle bones which makes them very susceptible to breaking. 3. Again, because of the lack of nutrition, a person suffering from this disease will suffer from muscle weakness and potential muscle loss. This can lead to more serious muscular disorders. 4. Most people who suffer from this disease not only don't eat enough but also don't even drink enough water. This can result in severe dehydration which can ultimately lead to kidney failure. 5. Less serious symptoms, but certainly cause for concern, are overall weakness including fatigue and fainting, which in itself can be dangerous when behind the wheel of a car. 6. People suffering from this disease also suffer from thin and dry hair. Hair loss is very common. 7. Because of the overall deterioration of the body, a covering of hair begins to grow over the body in an effort to keep the body warm. And now a few statistics about this disease that you may or may not be aware of. a. About 90-95% of the people who suffer from this disease are women, most of them young girls. b. About 1% of all American women suffer from Anorexia Nervosa. c. Of all the psychiatric disorders, Anorexia Nervosa is the most common diagnosed in women in general. 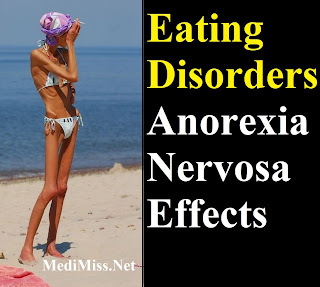 d. The mortality rate of people suffering from Anorexia Nervosa is between 5 and 20%. The probability of death increases with the length of time the person has been suffering from the disease. 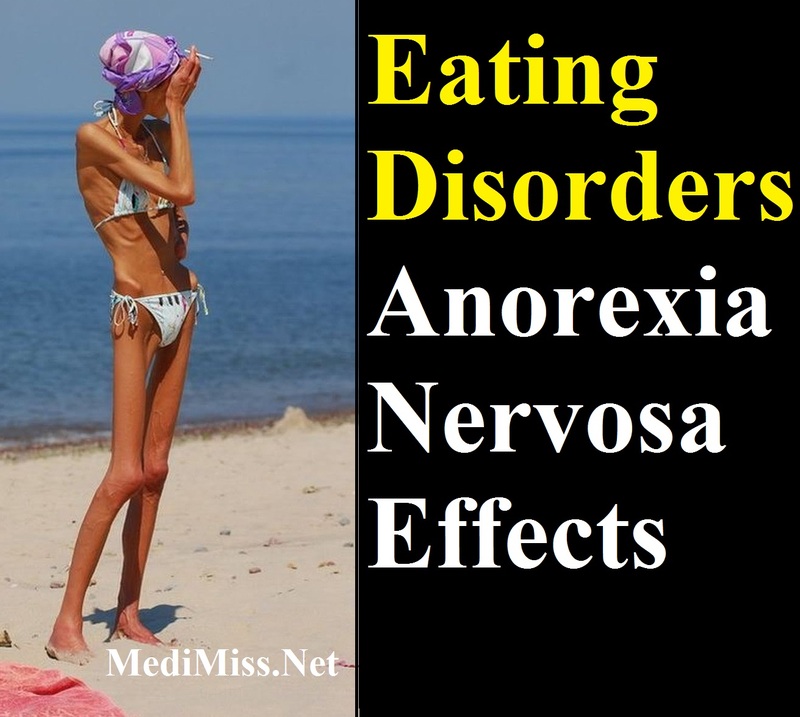 e. Anorexia Nervosa has one of the highest rates of death of all mental disorders. f. The disease itself usually shows itself in early to mid adolescence. The treatments for this disease are similar to the treatments for Bulimia. It is important that immediate psychiatric help is gotten for the sufferer. The quicker the diagnosis and treatment the greater the chance for survival.